Born 12 February 1967, Ulm/Donau, Germany. 1986 Graduation from Humboldt Gymnasium Ulm, Germany. 1987 - 1993 Student of Electronics Systems Engineering at the University of Karlsruhe, Germany. 1991 - 1992 Specialisation in Signal Processing and Robotics within the European Exchange Program ERASMUS at the Grande Ecole Superieure d'Electrotechnique et d'Electronique (ESIEE), Paris, France. 1992 - 1993 Diplomarbeit on Image Processing for Visual Communication at the University of Essex, England. 1993 Diploma Degree in Engineering Science, University of Karlsruhe, Germany. 1993 Equivalence DEA (Diplôme d'Etudes Approfondies) in Computer Science, Université Paris-Sud, France. 1997 Doctorate in Engineering Science, University of Karlsruhe, Germany. 1998 Doctorate in Computer Science, Université Paris-Sud, France. Teaching and Research Assistant at LIMSI-CNRS, Université Paris-Sud, France. 2000 - 2003 Senior Researcher at the Dialogue Systems Group of DaimlerChrysler Research and Technology, Ulm, Germany. 2003 - 2011 Professor of Engineering Science, Associate Director of Institute of Information Technology, Ulm University. 2005 - 2010 Member of the Committee of Study Affairs, Faculty of Engineering and Computer Sciences, Ulm University. 2006 - 2008 Dean of Studies. 2006 - present Director of the Interns' Office. 2008 - present Member of the Admission Board for Faculty Study Programmes. 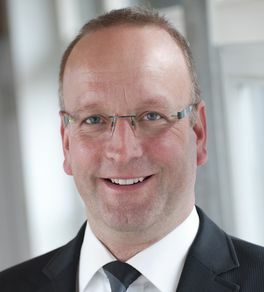 2011 - present Professor of Engineering Science, Associate Director of Institute of Communications Engineering, Ulm University. 2017 - present Co-Director of the International Research Laboratory Multimodal Biometric and Speech Systems at ITMO University St. Petersburg (Russia). Could Emotions Be Beneficial for Interaction Quality Modelling in Human-Human Conversations? Could Speaker, Gender or Age Awareness be beneficial in Speech-based Emotion Recognition? Are Computers Still Social Actors? Attention, Sobriety Checkpoint! Can Humans Determine by Means of Voice, if Someone is Drunk... and can Automatic Classifiers Compete? Is it Possible to Predict Task Completion in Automated Troubleshooters? Repair Strategies on Trial: Which Error Recovery Do Users Like Best?